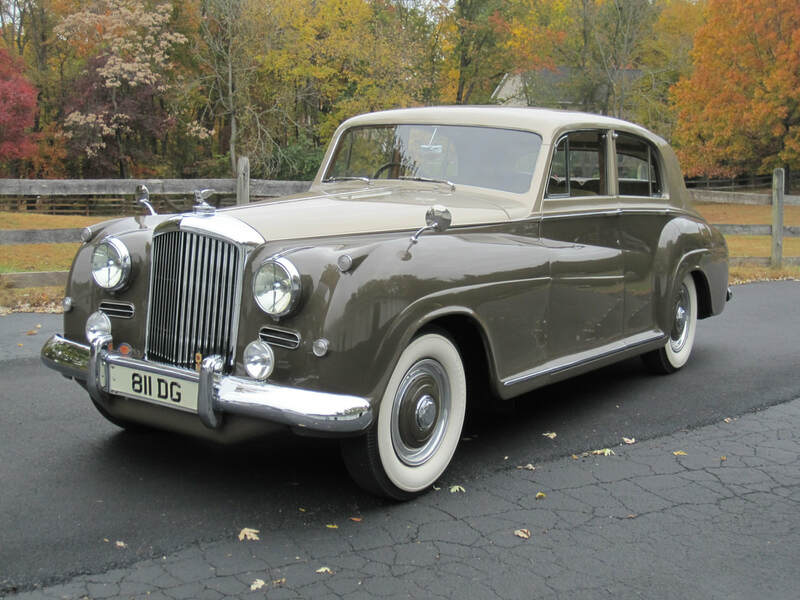 This 1954 Bentley R-Type Saloon will be among the amazing Rolls-Royce and Bentley selections competing at The Greenbrier Concours d'Elegance. WHITE SULPHUR SPRINGS, W.Va. — (March 13, 2019): On January 18, 1919, Bentley Motors Limited was founded by W.O. Bentley in Cricklewood, North London, and the company quickly became known for speed and precision, winning the 24 Hours of Le Mans in 1924, 1927, 1928, 1929 and 1930. This year, The Greenbrier Concours d’Elegance will honor the 100th anniversary of Bentley Motors with a featured Rolls-Royce and Bentley Class at the second annual Concours d’Elegance, which will be held May 3-5 at America’s Resort™, The Greenbrier. Among the automobiles already registered for the Rolls-Royce/Bentley Class are a 1925 Rolls-Royce Silver Ghost, a 1925 Bentley 3-Litre Speed Model, a 1934 Bentley 3.5-Litre Sports Saloon, a 1949 Bentley MKVI Drophead Coupe, a 1953 Rolls-Royce Silver Wraith, a 1953 Bentley R-Type Continental and a 1954 Bentley R-Type Saloon. After a successful debut in 2018, The Greenbrier Concours d’Elegance is building on that inaugural event with a weekend full of activities honoring the long connection between The Greenbrier and the automotive industry. Two spirited drives, The Summit Drive and the Kate’s Mountain Drive are on the schedule for Friday, giving car owners the opportunity to test the power and precision of their vehicles on beautiful mountain roads. Sunday’s main event, the concours, will bring more than 100 of the finest collector cars in the world to The Greenbrier’s iconic front circle and throughout the hotel. For ticket information, registration or to learn more, visit GreenbrierConcours.com. WHITE SULPHUR SPRINGS, W.Va. – (May 8, 2018): The Greenbrier Concours d’Elegance wrapped up its inaugural edition on Sunday, May 8, handing Carl Baxter’s 1934 Swallow Sidecar (Jaguar) SS1 Saloon its Best in Show trophy in front of the iconic front circle at America’s Resort, The Greenbrier. The rare automobile that took home the Best in Show honors is one of six known to survive with all of its original running gear. Its interior features the Lyons-designed Sunburst door upholstery that replicated the archway leading into the Lyon’s original Swallow factory. The unique trophy given to the winner, designed on The Greenbrier property by Virtu Glass, wrapped up a weekend full of events. ​The opening day on Friday, May 4, featured 40 cars participating in The Summit drive. Drivers took their cars to the top of the mountain at The Summit at The Greenbrier Sporting Club for lunch and then traversed scenic West Virginia backroads, testing the power and precision of their vehicles along the way. Saturday’s Car Club Day featured nearly 100 cars scattered throughout The Greenbrier’s famous golf courses, as spectators milled around looking at their favorites. That evening, car owners, sponsors and guests mingled while listening to entertainment and watching the Kentucky Derby at the Charitable Gala. Money was raised to support two important charitable initiatives, the Mountaineer Autism Project and the Antique Automobile Club of America Library and Research Center. A rare overnight storm dropped five inches or rain and flooded the golf courses on Sunday, rendering the original plan of holding the Concours d’Elegance on the same showfield impossible. Organizers quickly came together and implemented an entirely new blueprint to hold the event in front of the hotel on the paved front circle and inside the declassified nuclear bunker that is housed on property. Less than two hours after scrapping the original plan, nearly 100 cars were spread throughout the two new locations, and the move proved to be a good one, providing a spectacular backdrop for photos as well as easy access for shelter during spotty rain showers throughout the day. At the end of the weekend, 11 class champions were crowned in addition to the Best of Show winner. Those champions are listed below. Plans are already being made for The 2019 Greenbrier Concours d’Elegance, and officials are excited about the possibilities of growing the event for years to come. Four main sponsors were critical to the success of the Concours – Astorg Auto, Foreign Cars Italia, Grand Home Furnishings and Mountaineer Automotive. The 2019 Greenbrier Concours d’Elegance will take place May 3-5 at The Greenbrier. ​To view and download pictures from the 2018 event, including the class winners, click here. WHITE SULPHUR SPRINGS, W.Va. – The history of the automobile and the history of The Greenbrier have been intertwined from the beginning. New cars have been unveiled on the storied grounds, and automobile dealers and manufactures from across the country have met in The Greenbrier's grand ball rooms and dined on the resort's award-winning culinary offerings. This spring, a new story in The Greenbrier's automotive history will be written when the automotive world is introduced to The Greenbrier Concour d'Elegance, which will take place May 4-6, at America’s Resort, which has played host to celebrities and dignitaries for more than 250 years. The newest Concours in North America will include a wide array of automotive events throughout the 11,000 acres of The Greenbrier and The Greenbrier Sporting Club over the course of three days. Automotive enthusiasts will be treated to unique and unforgettable experiences that will make The Greenbrier Concours d’Elegance one of the most talked-about car events of 2018. Some of the highlights of the three-day showcase include The Summit Driving Tour, Car Club Day, which will allow car clubs from throughout North America to display their cars on the Concours Showfield, and a Charitable Gala. The Summit Driving Tour will give fine automobile drivers the opportunity to explore the scenic West Virginia highways surrounding The Greenbrier, testing the power and precision of their automobiles on the hills and valleys of the Mountain State before ending the drive with lunch at The Summit, one of the most picturesque spots at The Greenbrier Sporting Club. Car Club Day will allow car enthusiasts from around the region and beyond to showcase their favorite cars on the Concours Showfields the day before the Concours d’Elegance on Saturday. The evening will conclude with a charitable gala inside the famed resort, benefiting Mountaineer Autism Project and the Antique Automobile Club of America. The premier event will be the Concours d’Elegance on Sunday, May 8, when approximately 100 of the finest collector cars in the world will be judged and a champion crowned. 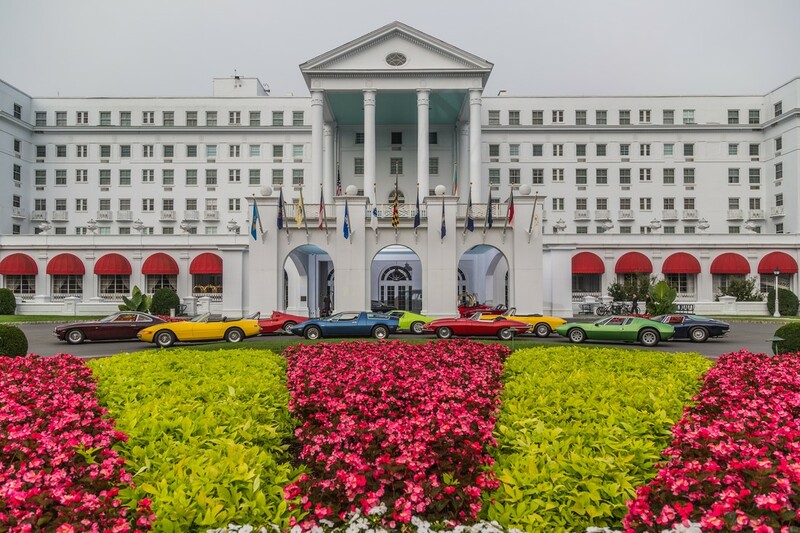 A unique opportunity to get involved comes with the President’s Club, which will provide members with badges for all of the premier events, as well as a showcase area inside the iconic circular entrance to The Greenbrier for attendees who drive their classic, vintage or exotic cars. ​Badges for all of The Greenbrier Concours d’Elegance events and President’s Club memberships are on sale now and can be purchased at GreenbrierConcours.com or by phone at 877-935-0426. Participant registration is also available online.